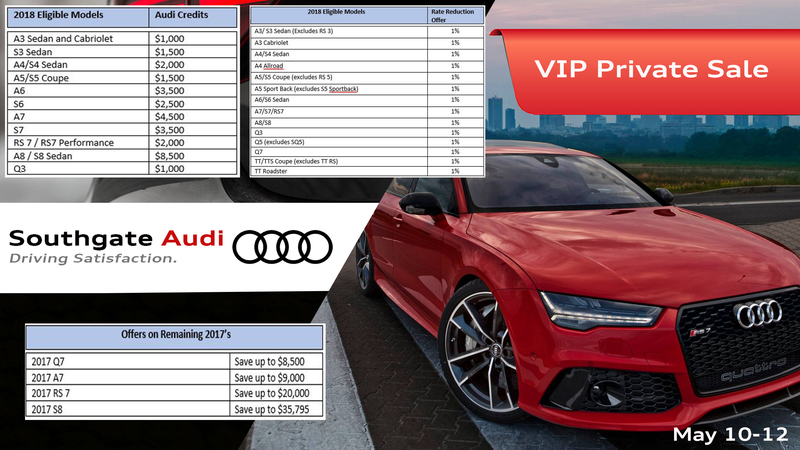 You’re invited to the Southgate Audi Private Sales Event. Exclusive offers, exclusively for you. Southgate Audi invites you to receive exclusive offers at our three-day Private Sales Event. Receive exclusive savings on select new models. RSVP soon as supply is limited!